IFP – A political analyst says Saudi Crown Prince Mohammed bin Salman, who is said to be the one behind the recent purge of top Saudi officials, is himself among key individuals charged with embezzlement. Iranian political commentator Mohammad Masjed-Jame’i has, in an interview with the Persian-language Khabar Online news agency, weighed in on key political developments in Saudi Arabia. The highlights of the interview follow. Should political tensions in Saudi Arabia be seen as a fallout from the situation in the region? The Arabian Peninsula is comprised of Yemen, Saudi Arabia and five other sheikhdoms. They are currently in a dangerous and precarious situation, and it is only Oman and, to some extent, Kuwait that enjoy relative calm. The reason is that Oman, despite its membership in the [Persian] Gulf Cooperation Council, has always tried to steer clear of anti-Iran policies as well as the ups and downs associated with Iran. Kuwait, too, has generally adopted an independent policy on Tehran due to the maturity and prudence of the country’s leaders as well as the existence of a parliamentary system, democracy and supervisory bodies in the country. In fact, Saudi Arabia is the flashpoint, and the United Arab Emirates (UAE) together with Bahrain is practically part of Saudi Arabia. And Yemen is targeted by a savage an inhumane war [imposed on it by Saudi Arabia.] Yemen is under incessant aggression, a situation like that of the “Ogaden Desert” during the war between Sudan and Ethiopia, or of “Biafra” in the last century. As for Qatar, is has a different story and its problems are mainly due to Western pressure rather than domestic issues. What does Saudi Arabia want and why is it showing such unorthodox and unprecedented behaviour? Although some acute problems existed within the royal family, never ever had so many influential members of the family been arrested on financial corruption charges. This comes as Mohammed himself is one of the key individuals charged with embezzlement. Recently, he bought a cruise ship worth $0.5 billion from an opulent Russian man. Moreover, rather reliable news suggests some of them were killed when a helicopter carrying several princes came under fire or in detention centres. In addition, a number of political and economic figures have been apprehended as well. Such an event is unprecedented in a country such as Saudi Arabia where such people have always enjoyed permanent job security. Various interpretations, namely from Arab, European and Western sides, exist in this regard. Probably the key point is that the current situation is the result of developments within the Saudi society, especially where the ruling elite comes into play. It is a deeply primitive society where people lived in the same condition as that of hundreds of years ago until the 1950s, 1960s and early 1970s. It is a society which, with the same ancient beliefs and culture and customs, was suddenly catapulted to the modern history. The development has consequences given the kind and quality of the society’s entering the contemporary era. We will skip them for now. Mohammed himself is one of the key individuals charged with embezzlement. Recently, he bought a cruise ship worth $0.5 billion from an opulent Russian man. 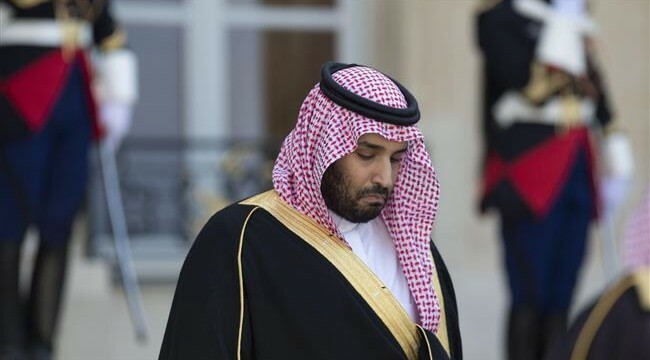 Should the current situation be regarded as the continuation of a historical trend, or is it that political developments in Saudi Arabia are unprecedented? It all goes back to the ruling elite. Saudi Arabia was established in the 1920s as an independent country by Abdel Aziz based on the Wahhabi ideology and with the help of Najdi forces. He knew how to rule the vast country. In the early years, he faced a rebellion from his deeply Wahhabi troops and suppressed them. After that, he ruled the country until the end of World War II without any problems. At the end of the second war, due to Saudi Arabia’s rich oil resources, a contract was signed between Abdel Aziz and Roosevelt, giving Riyadh an edge as a new satellite of a superpower. Drilling began for oil, bringing in huge wealth that would only be used by the ruler along with his family associates, and spent on their debauchery. Abdel Aziz’s successors were his children, who pursued their father’s policy in running the country. The policy was an amalgamation of conservatism and violence. That meant they would not seek to solve past and present problems and turn a blind eye to them and at the same time would crack down on dissent. Most of their actions both at home and abroad were based on the same policy. There, conservatism had its own special meaning, which was completely different from that in other regions. The policy was, more or less, in place until the end of King Abdullah’s rule. However, during the final years of his rule, developments began to unfold that were somehow different from the nature of the Saudis’ traditional domestic and foreign policies. It looked like they had realized the necessity of adopting new policies, both on the domestic and international fronts, and they felt they could no longer rule the nation with previous methods. Pressure by the West, including the US, after the September 11 attacks, and the threats that they felt following the downfall of former Iraqi strongman Saddam Hussein, contributed to them feeling they needed change. The story of Arab uprisings which began in 2011 made Saudi rulers more determined to shift their policies, especially on the domestic front. Is the new generation of Saudi rulers one that favours modernism and progress? Long ago, a small group was formed within the royal family and the ruling elite. It sought cultural and behavioural changes for the country to align itself with modern criteria. Moreover, members of the group had become more nationalistic and felt being more “Saudi,” and for the very same reason were more anti-Iranian. Their being “Saudi” had been mainly formed against the backdrop of enmity toward Iran and its influence. Due to the king’s absolute rule, members of the group could not make their presence felt, but crept through and spread within the ruling elite, especially during King Abdullah’s rule. The existing developments mostly mirror events within the ruling elite rather than reflect the realities of society. The reality is that the origin of these thoughts was the same small group mentioned above, not the Saudi public or elite. Of course, they welcomed the idea, but did not play a considerable role in its initial development. So, we can say the demise of King Abdullah marked the end of an important era. The passing of Abdullah and succession of Salman was a major watershed. Salman himself belonged to the previous generation, but at the same time was greatly attached to his children born with his last wife, who was his beloved one as well. Therefore, Mohammed and his brothers as well as the group of people whose thoughts and ideals he followed suddenly came onto the scene and began to receive support from extremist Wahhabis due to their extremist positions on Iran and its allies. Although the two split later on, they had played a key role in the instalment of Mohammed and his associates in the early days. What does Mohammed bin Salman want? What type of management does the Saudi society need? And what is the correlation between the two? First let’s turn to the second issue. For a conservative and complex society such as Saudi Arabia, science coming from domestic experience is far more important that science based on modern diplomacy, politics and economy. In a developed country like Austria where different structures and institutions have been in place for a long time, a 31-year-old young person such as Sebastien Courtois can win the majority of votes and take power and lead the society based on economy and politics. However, this does not apply to Saudi Arabia. “Old age” and the “experience of one’s lifetime” are very significant, and this is a sine qua non, but not per se adequate. This does not mean conservatism and support for conservatism. The nature of these societies should be understood based on the practical experience of its outstanding and shrewd individuals. They can neither be known nor guided. That makes it all the more important for decision-makers to be old enough and have enough experience. A hasty person such as Mohammed and his brothers lack the necessary practical experience, which is clearly evident in their words and decisions. Most old Saudi diplomats that the writer of this article has been in touch with have has such a viewpoint, from late Saudi ambassador to Italy Khalid al-Turki, to Saudi ambassador to Maghreb Mohieddin Khoja, who also served as the kingdom’s information minister for years after serving as ambassador. As for what Mohammed wants, maybe we’d better ask: “What doesn’t he want?” As his words and behaviour show, he wants everything and thinks he can achieve his objectives with money, security power and military might, and foreign support. This has always been a problem that young Arab youth have had, from Muammar Gaddafi and Saddam Hussein in the 1970s and 1980s to Gamal Abdel Nasser. In comparison with others, Mohammed’s problem is that his country both has huge wealth and has an acceptable political and religious position due to the religious policy of his predecessors. However, this political position is not the result of the capabilities of present Saudi Arabia; rather it is the result of wealth and the possibility of taking advantage of his religious position. Of course, it is major powers as well as Israel that are capitalizing on his position, and that is why he goes to extremes when making decisions and taking action. How much grass-roots support does he have? He currently has supporters among the youth and some social classes, but a large part of the population on which the country’s economic, religious, social and political power depends are extremely dissatisfied. They have been forced to remain silent because of fear and a kind of conservatism emanating from living in a deeply conservative society, and from the criteria of the Hanbali school of jurisprudence which impact their interaction with the ruling elite. The lack of a channel through which one can, one way or another, express his/her protest peacefully is a major contributor. Before the recent wave of arrests, at least 64 important and senior religious and social figures had been imprisoned. How do you predict Saudi Arabia’s future? How successful with the young king be in advancing his new goals? For reasons which are too many to be mentioned in this article, he will not be able to succeed, and his measures will practically make the country’s numerous and unsolved problems more complicated. After all, it is not clear what future he will bring to the country. His measures in the field of women’s rights, which were intentionally planned to receive extensive coverage, were lacking in the necessary cultural and religious backup acceptable to a society such as Saudi Arabia. Those whose interests entails supporting Mohammed at the moment, were behind the recent changes regarding women’s rights to make him more popular. Although this does not mean the existing freedoms will be taken away, it will pose numerous challenges to society due to a lack of proper ground. Under such circumstances, we had better be observers unless when they resort to the language of threat, lies and slander. In such cases, we should respond with a sharper language than what they used. They would only become silent and retreat in the face of power and the language of power. Otherwise, they will act more aggressively. In this case, the worst response would be to use a soft tone and say we favour good and positive relations with Riyadh.